Google and Microsoft are squaring up and competing with each other on a number of fronts. There’s G Suite vs Office 365, Bing vs Google Search, and Google IDaaS vs Azure Active Directory in the cloud directory services space. There is no love lost between these two tech titans. In fact, they have never been more competitive than they are today. The last one we mentioned – in the Identity-as-a-Service space – is a curious one. Google doesn’t really have a complete directory services offering. However, that isn’t stopping them from indicating that they’re interested in playing in that space and having an IDaaS solution. Microsoft, on the other hand, has created a cloud directory service called Azure Active Directory. Mistaken as a replacement to the on-prem Active Directory, this solution is a lot more similar to Google IDaaS than people realize. Google’s concept of IDaaS really is the G Suite Directory, which is largely a user management system for Google Apps and services. With OAuth and SAML support, G Suite Directory can federate identities to a select few web applications. Google IDaaS is not a replacement to Active Directory, either. There is no concept of managing or controlling on-prem IT resources, such as systems, applications, or networks. Further, Google’s concept for identity management really is to own the overall identity. Yet they don’t have ways to federate that identity to other IT resources that organizations need. How about Azure Active Directory? Azure Active Directory is surprisingly similar. While positioned as a cloud directory service, Azure AD, too, is essentially a user management system for Azure and a web application SSO provider. On-prem devices and resources aren’t managed or authenticated via Azure AD, but rather in Microsoft’s strategy via Active Directory. Of course, most IT admins want to shift their entire network to the cloud. However, that’s not Microsoft’s strategy around Azure AD and AD. To learn more about their approach, you can hear about it from the representatives on the Spiceworks site. The concept of Google IDaaS vs Azure Active Directory really isn’t much about identity management. Frankly, it’s more about which cloud platform you want to use. If you are interested in a cloud directory service, you will need to look elsewhere such as Directory-as-a-Service®. This approach to a cloud identity provider is not only a user management system for Azure, G Suite, or any other infrastructure provider but also an alternative to Active Directory. Directory-as-a-Service securely connects users to on-prem and cloud IT resources, including their Mac, Windows, and Linux systems, web and on-prem applications, and WiFi networks and infrastructure. The cloud-hosted directory acts as an independent directory service providing IT with central control and visibility. 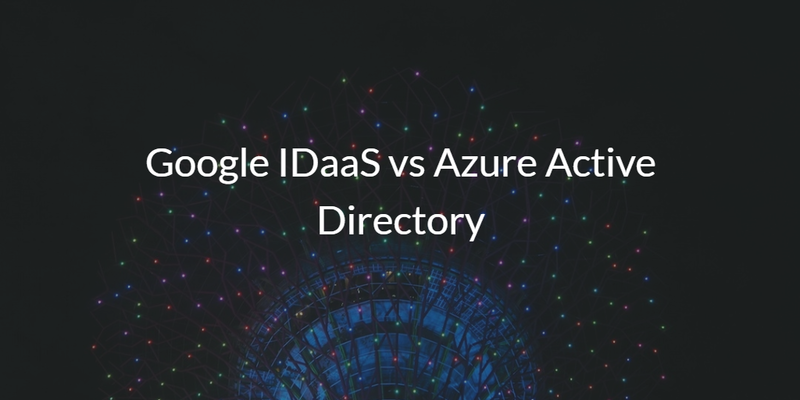 If you would like to learn more about Google IDaaS vs Azure Active Directory, take a look at Directory-as-a-Service instead. Google IDaaS and Azure AD are simply user management systems for their own platforms plus a web application SSO solution. 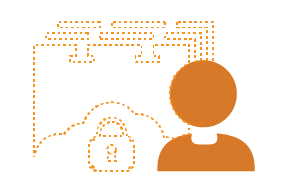 If you need more, say, a virtual identity provider for your entire organization, give Directory-as-a-Service a try. Sign up for a free account and your first 10 users are free forever.